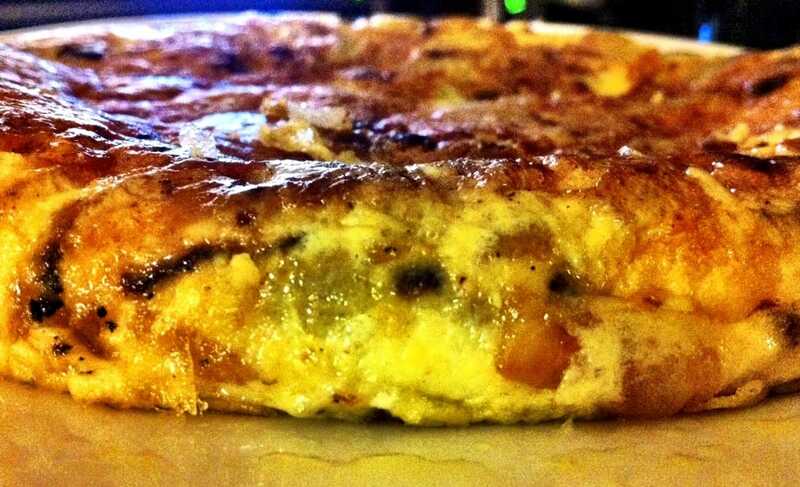 Now you may ask the obvious question “what’s Rioja doing in a recipe for tortilla?” But don’t. Just have faith and follow the instructions. Open bottle of Rioja, red or white, pour a glass, waft it under your nose then take a generous sip. And relax. Now then, you’re half way to your perfect tortilla already by dint of the quintessential essence of Spain now firmly resident in your consciousness. Keep the wine close to hand – you’ll be needing it again later. Or sooner. Whisk 8 eggs with half a cup of milk and a good pinch of salt. Put aside to stand. Peel 4 medium sized non-floury potatoes, e.g. russets, slice to the dimensions of a 2€ coin. Using 3 cups of veg oil (yes, that much) gently cook the potatoes, onions, garlic and pepper on a low heat (lid on) for 15 mins, stirring every 3 mins. You do NOT want anything to brown, just soften. Take off the heat and drain all the oil (you can re-use it another time). Draw a wooden spatula across the base of the pan a half a dozen times over the next 2 minutes. Replace lid and continue to cook on gentle heat for a further 5 to 7 minutes (or until set) during which time you should gently agitate the pan every minute to encourage the bottom of the tortilla to break its connection with the base. Now ease a veg-oiled plastic slice under the tortilla all the way round until it’s entirely free. Turn the heat up to medium for 2 mins – keep gently agitating the pan. And now ……. the moment of truth, the turning point as it were. 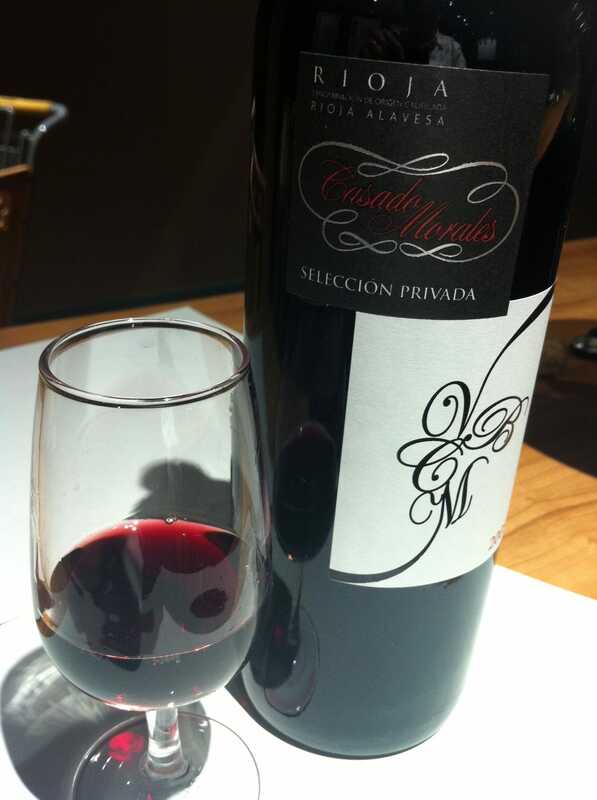 Another sip of Rioja – just a sip mind, you need a clear head. A deep breath and steel yourself. You can do it. Take a plate large enough to cover (and a bit more) the circumference of the tortilla. Lubricate the plate’s surface with some of the veg oil used earlier. Place it oiled side down over the tortilla and press gently but firmly down with one hand. Take the pan handle in the other hand and turn the whole caboodle upside down. You should now have a nearly ready tortilla (with a slightly browned side uppermost) sitting on the plate. You’re almost there. Add about two tablespoons of the oil used earlier to the pan (make sure the whole of the base is covered) and slide the tortilla gently back to cook the other side (low heat, lid on) for another 2 minutes. Keep agitating the pan. Turn off the heat and gently slide the tortilla out on to a dish and leave to stand for at least an hour before serving at room temperature. Take a deep glug of that Rioja and congratulate yourself. You’ve walked through fire, crossed that burning bridge, tasted cold steel and looked destiny firmly in the navel. You are a Tortillista. Cut the tortilla into six wedges, slice horizontally and fill with a little smoked salmon topped with a squish of lemon juice and a dash of ground black pepper. Serve with, what else? Rioja.